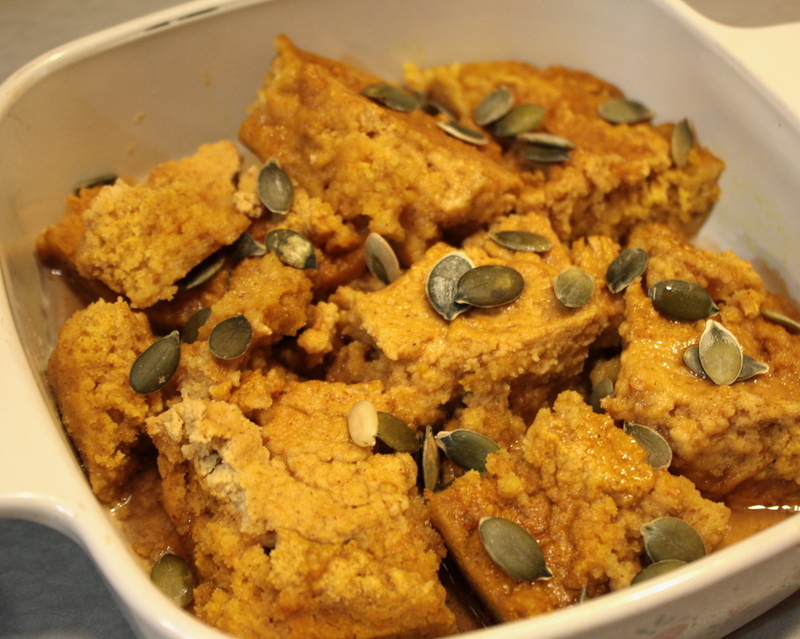 As I present to you the maple pumpkin breakfast bake. Now you definitely don't have to just save this for breakfast, eat it anytime! I just finished up about four pieces of it and it's 1 p.m. here! Maybe four pieces were a little too much... well no, definitely not. I can only bake pumpkin things a couple of months out of the year, so it's go big or go home... right? !